Kadyrov is charged with the same article as the Deputy of the Chairman of the Mejlis of the Crimean Tatar People Ilmi Umerov. 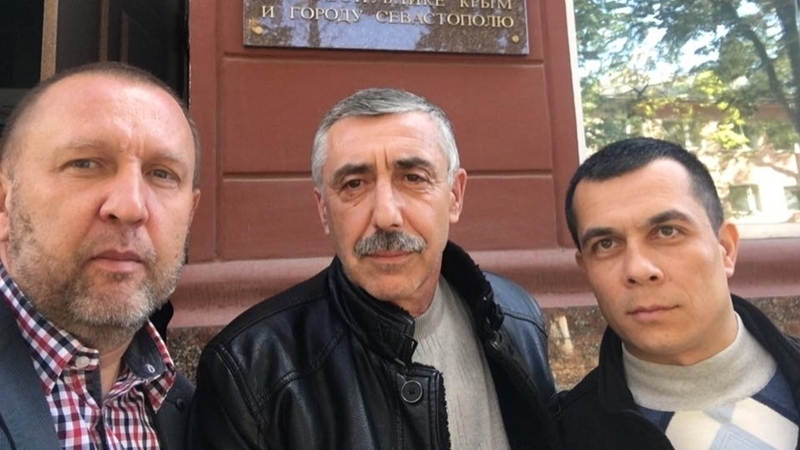 The member of the regional Mejlis of the Crimean Tatar people, activist Suleyman Kadyrov, is summoned to the FSB (Federal Security Sevice of Russian Federation) for interrogation in the occupied Crimea, according to the report of the Crimean Tatar Resource Center website. Kadyrov must come to the FSB on July 7. Earlier, the preliminary investigation was prolonged until August 7, 2017, the source notes. Reference: the occupation authorities suspect Suleyman Kadyrov in extremism. He is charged with Article 280 (part 1, part 2) of the Criminal Code of the Russian Federation ("Public calls for actions aimed at violating the territorial integrity of the Russian Federation", "The same acts committed with the use of mass media, including information and telecommunications networks (including the "Internet" network) "). Ilmi Umerov, the Deputy Chairman of the Mejlis of the Crimean Tatar People, is charged with this same article. On October 5, 2016, Russian security forces came with a search to the Kadyrov’s house. A laptop and a telephone were seized during the search. The search was carried out on the basis of the "Judge" Igor Rodionov’s decision to conduct an inspection in suspicion of calls for "non-recognition of the borders of the Russian Federation and support of the Crimean Tatar Battalion "Asker". On October 11 a criminal case for "separatism” was initiated against Suleyman Kadyrov. On October 18, the FSB officers familiarized Suleyman Kadyrov with the decision to conduct a linguistic expertise that would study the content of the video message of Demyan Demyachenko where Kadyrov allegedly had written comments. On January 18, Kadyrov was acquainted with the results of the linguistic examination. According to the conclusion, Suleyman Kadyrov’s words (comment) were not a call to action, but they were only approval. In connection with this the additional psycho-linguistic examination was appointed. In April 2017, the Russian service for financial monitoring included an activist, a member of the regional Mejlis of the Crimean Tatar People Suleyman Kadyrov to the list of extremists and terrorists. On May 18 in Feodosia, Russian security forces attempted to detain Suleyman Kadyrov, who came to lay flowers at the memorial to the victims of the deportation of the Crimean Tatar people. At the end of June 2017, Kadyrov was summoned to the FSB department to get acquainted with the results of the psychiatric examination.